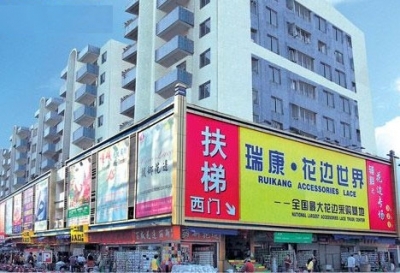 Guangzhou Zhongda Ruikang Garment City is located in Haizhuqu District Ruikang Road, opposite the South Gate of Zhongshan University. A total of 14 games, 4000 many stall. The main business at home and abroad, wool fabrics, garments accessories, is high, low level of taste, fashion, fabric having a professional wholesale and retail market. The old cloth Market West and built a long hang fabric market, merchants are.